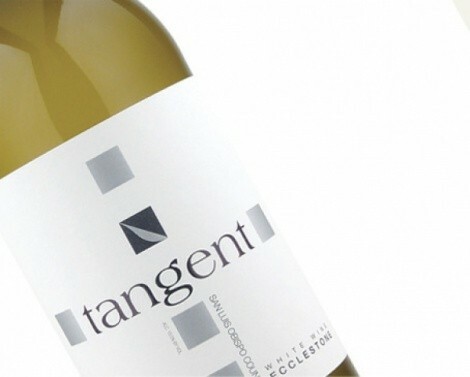 Tangent Ecclestone ($15.99) is a California Central Coast wine -- a unique blend of many white wine varietals, allowing winemaker Christian Roguenant to return to his French roots. Great examples of French wine blending include wines from Champagne, Bordeaux and the Rhone Valley. For the masterpiece that is Ecclestone, Roguenant created a heady brew of the following varietals: Pinot Gris, Viognier, Riesling, Pinot Blanc, Muscat and Albarino. Whew! Christian Roguenant says, "This wine is the epitome of synergy -- the entire Tangent portfolio rolled into one, and then some." Adding, "This has become one of my favorite wines to make each vintage." Well, it's one of my favorites. The current vintage is teeming with gorgeous fruit flavors: pear, tangerine, apricot, peach and melon, with a touch of sweetness. Thanks in part to the Viognier, it has pretty, flowery aromas -- very aromatic. I like to sip Tangent Ecclestone all by itself, and it makes a great aperitif. But I'd also recommend it for drinking with a wide range of cuisines, including sushi and seafood, Asian and Indian dishes, or even spicy Southwestern and Mexican fare. Put a bottle in someone's stocking for Christmas!